At 420 seats, the new Topfer Theater at ZACH has more than double the capacity its previous largest theater. 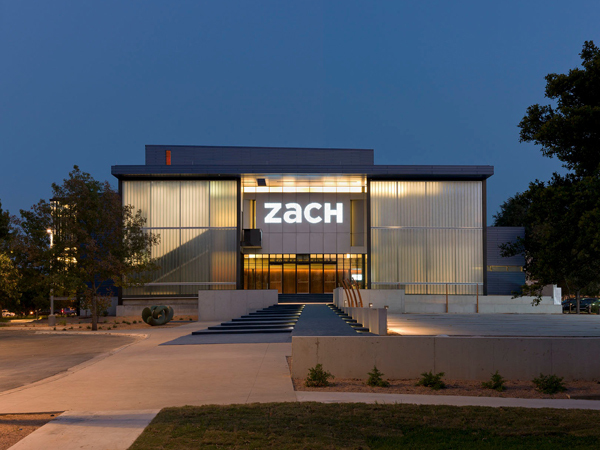 This new theater provides the opportunity for larger productions while maintaining an intimate atmosphere ZACH’s patrons have always enjoyed. The steep seating slope brings audience members closer to the stage and provides ample plenum space for HVAC. The multi-story building is approximately 29,000 sf. Structures implemented the use of a multitude of structural materials including steel, concrete, and cmu to provide an efficient and economical design while maintaining architectural elegance. The entire auditorium portion of the building is situated under exposed steel custom trusses and exposed steel columns. The approximately 70 foot tall fly tower is comprised of a poured-in-place concrete frame and cmu walls with a steel roof framing system. 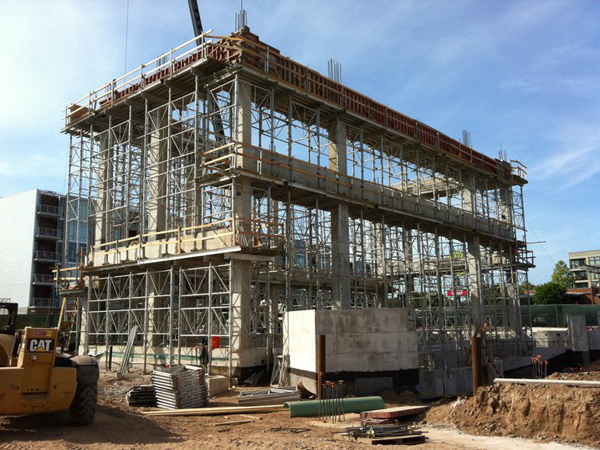 A gridiron of structural steel beams were placed within the fly tower to support suspended props, hoisting requirements and various “behind the scenes” theater operations. Structures worked closely with the contractor to explore many systems for the tall fly tower to ensure the design economical and could be constructed easily within the difficult site constraints. As part of the solution to reduce costs of construction, Structures recommended the use of driven piles in lieu of drilled piers, which would have required expensive casings due to proximity to Austin’s Lady Bird Lake. This provided considerable savings to the project.